Dara Devaney, Owen McDonnell, and Chloe Ewart in season two of An Klondike. AN KLONDIKE, the award winning Galway made western, returns to TG4 next month, continuing the story of the Connolly brothers as they struggle to forge an empire for themselves during the gold rush of the 1890s. The new season returns on Wednesday February 1 at 9.30pm on TG4, and picks up a few weeks after the climactic events that brought the first season to a close. According to series creator and director Dathaí Keane, "This time round we knew we didn’t want to tell the same story again". “In the first season we were telling a more linear story that revolved around the Connollys getting to Dominion and establishing themselves in the town," he said. "We talked a lot about what we wanted to explore next, how the events of the first season would affect the various characters, and how it would change them. We left some major dangling threads at the end of the first season that propels the action across these new episodes and allows us to really get under the skin of the Connolly brothers." The critically acclaimed first season of An Klondike was nominated for 10 IFTAs, and won five, including the prestigious award for Best Drama Series. 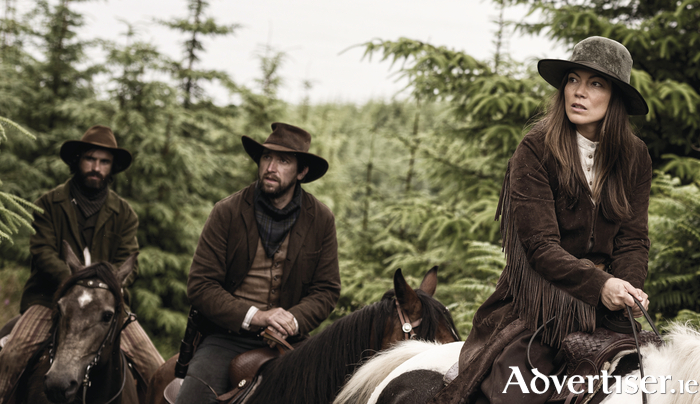 Produced by Galway based company Abú Media, season two was filmed entirely in the west of Ireland, with the majority of the filming taking place on the grounds of the Glengowla mines, Oughterard - where the Wild West town of Dominion Creek was built as part of the production - over the course of six weeks last summer. An Klondike stars Owen McDonnell, Dara Devaney, and Seán T O’Meallaigh, as the Connolly brothers, while new cast members include Timothy V Murphy (True Detective, Sons of Anarchy ), Native American actor Duane Howard (The Revenant ), Tim Creed (My Brothers ) and Donncha Crowley (Kings ). Do you want to be TG4’s next soap star?